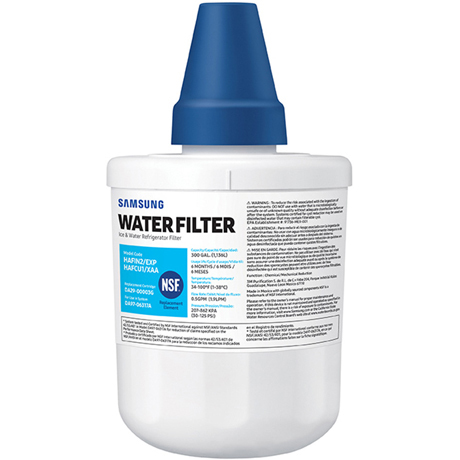 Samsung RS2666SL Water Filter (OEM) - Only $27.95! Receive FREE SHIPPING for your entire order with purchase of a Super Value package! 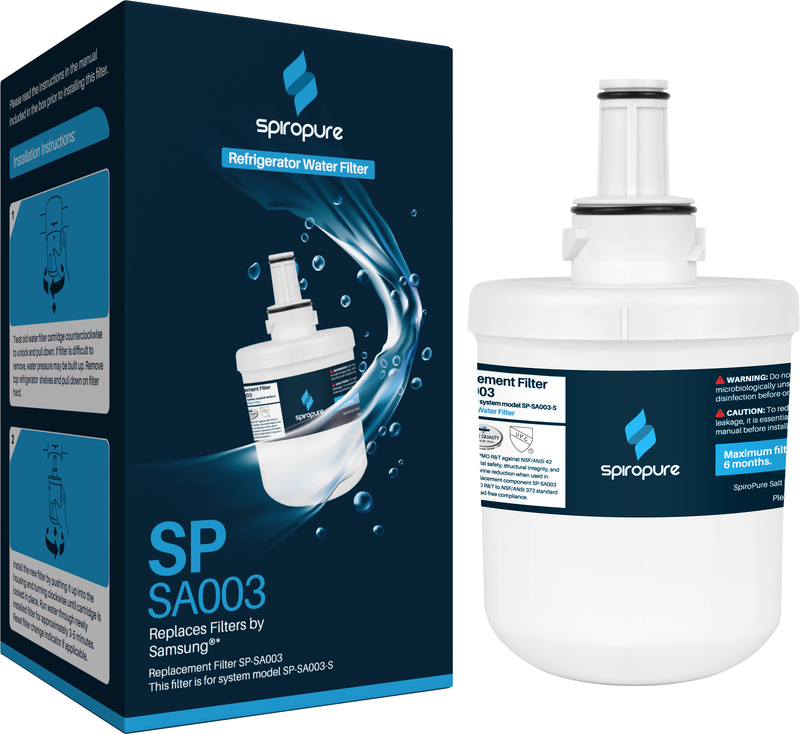 If you are having fitting issues due to the new style of locking mechanism, please see our FAQs tab on this page, or purchase the SpiroPure SP-SA003 with the older style of locking mechanism. 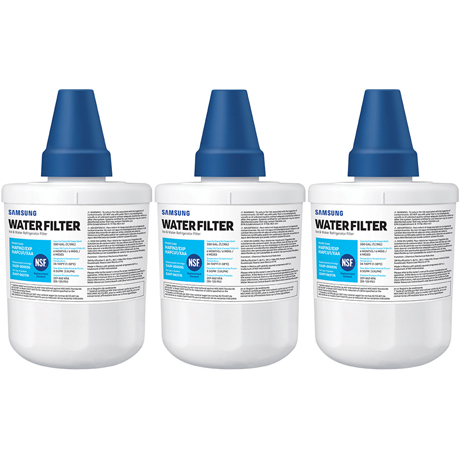 The genuine OEM Samsung RS2666SL Refrigerator Water Filter that fits Samsung refrigerators with a short, round filter. My Samsung DA29-00003G water filter isn’t fitting. What changed? 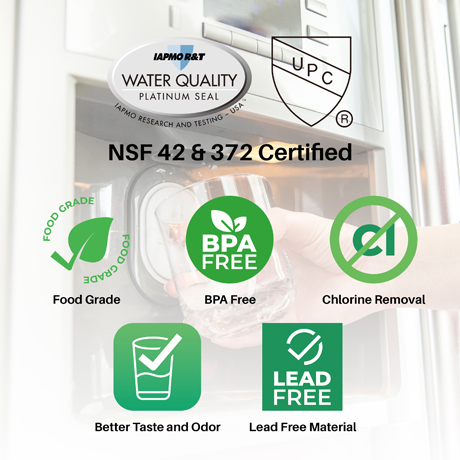 Samsung recently made design changes to several refrigerator water filters. The new model of DA29-00003G has a different locking mechanism that can make it difficult to install. How can I get it to fit? There are a couple of different troubleshooting methods you can try. Reinstall the old filter cartridge. Press upwards on the filter cartridge and turn it to the left about 1/8 of a turn or until it can no longer turn. 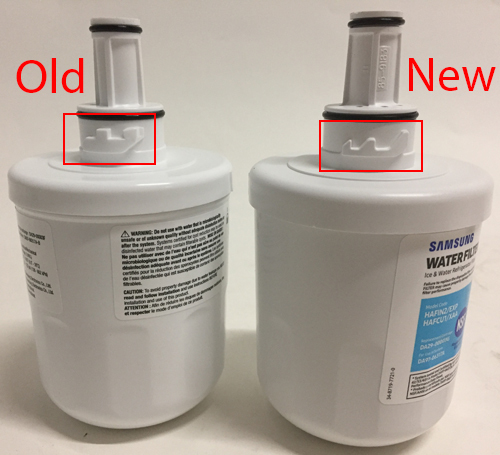 Note that the old filter cartridge should release and will drop down from the housing if not held in place. 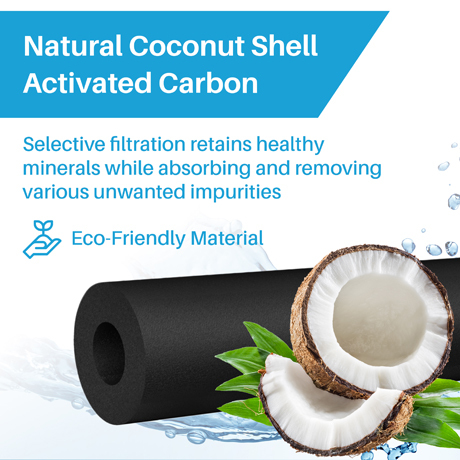 Remove the old filter cartridge and install the new filter. Insert the filter cartridge into the filter housing with the “lock” icon on the filter cartridge aligned to the left of the “unlock” icon on the filter housing. Turn the filter cartridge counterclockwise approximately 1-2 inches until it catches on the filter housing. 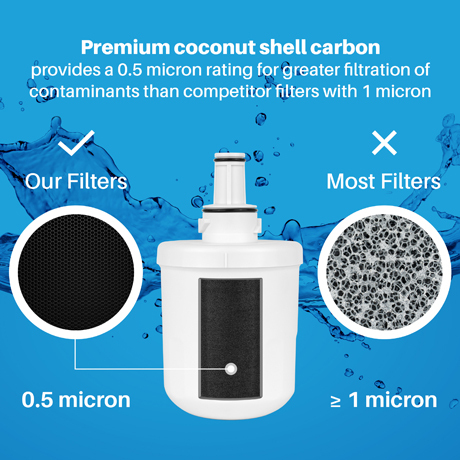 Using considerable pressure (at your own risk), continue turning the filter cartridge counterclockwise until the “lock” icon aligns with the “lock” icon on the filter housing. You should hear a small burst of water run through the filter. 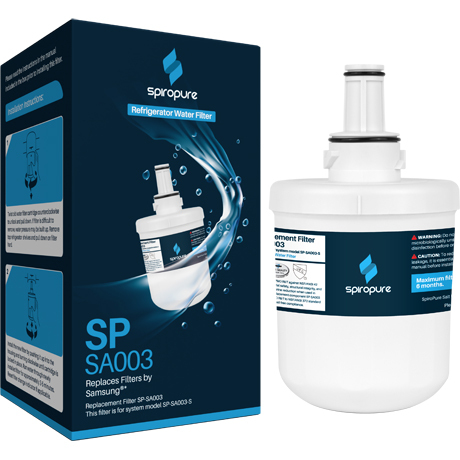 Troubleshooting Method Three: If the above methods do not work, we recommend purchasing the SpiroPure SP-SA003 refrigerator water filter. 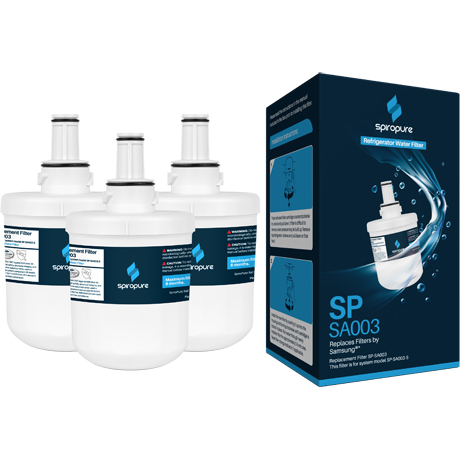 SpiroPure SP-SA003 has the older style of locking mechanism used by previous versions of DA29-00003G.